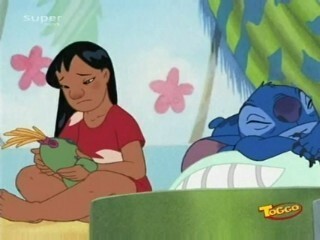 Older Lilo. Image from episode 45 in the series. Wallpaper and background images in the Walt Disney Characters club tagged: walt disney characters lilo lilo & stitch lilo and stitch. This Walt Disney Characters Screencap might contain anime, comic kitabu, manga, cartoon, and mkono.